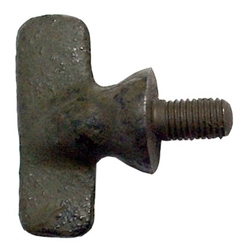 Wing bolt, top bow, 5/16 fine thread (for early production jeeps). Wing bolt, top bow, 5/16 fine thread (for early production jeeps). These are exact copies of the original in ductile cast iron.